What Do We Mean by Whole-Window Performance? > Windows > What Do We Mean by Whole-Window Performance? Renewal by Andersen® of Eastern NY believes that the best way to look at energy-efficient windows is to focus on whole window performance. It is not enough to focus on the individual components of the window. You have to look at how each component works together with each other and how the window as a whole performs once it is installed. Our focus on the big picture allows us to manufacture highly efficient replacement windows and doors that can considerably improve your home’s energy efficiency. We combined the advantages of wood and vinyl in our exclusive Fibrex® window frame material. This material is a composite of wood fibers and polymer and it combines the low-maintenance requirements of vinyl with the strength and stability of wood. Fibrex is twice as strong as vinyl and does not expand or contract during temperature fluctuations. This greatly reduces the risk of air leaks and drafts, improving the energy efficiency of our double hung windows and other window types. Our Fibrex window frames are also durable enough to withstand harsh weather and to last for decades. In addition, Renewal by Andersen of Eastern NY’s Fibrex window frames also require very little maintenance to stay beautiful. The colors of our window frames are baked in the material and they will not fade. Fibrex will also not chip, corrode, rust, peel, or blister. Fibrex window frames also have excellent insulating properties that are on par with fiberglass, vinyl, or wood window frames. Fibrex material’s thermal conductivity is about 700 times better than aluminum. Our use of Fibrex window frames for our replacement windows can also benefit the environment. Our windows meet the strictest indoor air emission standards in the country and they contain certified recycled content. We use reclaimed wood fibers from our parent company, Andersen Corporation, for our window frames. We combine these wood fibers with a polymer in an innovative process to produce Fibrex. Our use of Fibrex has prevented the harvesting of more than 90 million board feet of lumber. We complement our Fibrex window frames with our innovative High-Performance™ Low-E4® glass. This glass has special low-emissivity coatings on both sides that can prevent unwanted heat transfer. During summer, the glass blocks solar heat from entering your home and increasing indoor temperature. During winter, the glass blocks heat from your interior from escaping through your windows. This special coating also blocks harmful UV rays, which can protect your furnishings from fading. Our window glass also has several features that make it even more energy-efficient. We use a two-sealant combination that consists of compressed butyl and specially formulated silicone. Our dual seals can greatly reduce the risk of seal failure and energy loss. This also secures our window glass in the frame and makes sure that they stay energy-efficient throughout the windows’ entire lifespan. The spaces between our windows’ glass panels are critical for energy efficiency. The distance between the panels needs to be just right to minimize heat transfer. We manufacture all of our windows with optimal glass panel spacing. We also use non-conductive stainless steel spacers for increased durability and efficiency. We also fill the air space between the panels with a custom argon blend that’s non-toxic, odorless, and colorless. This gas blend makes it harder for heat to pass through the window. Finally, our window glass packages are designed for long-term performance. We use only glass constructions certified for durability by the world’s top organizations on the manufacturing and engineering of energy-efficient glass. We are confident in the strength and durability of our window glass, which is why we include it in our warranty. Our professional Start-to-Finish process is the final part of our Whole Window Performance philosophy. We make sure that we install our windows perfectly each and every time we replace windows for our customers. The process starts during our in-home consultation. Our representatives will listen to your needs, answer all of your questions, and offer sound recommendations. We will then evaluate, measure, and inspect your window openings. All of our windows are custom-manufactured for specific customers. 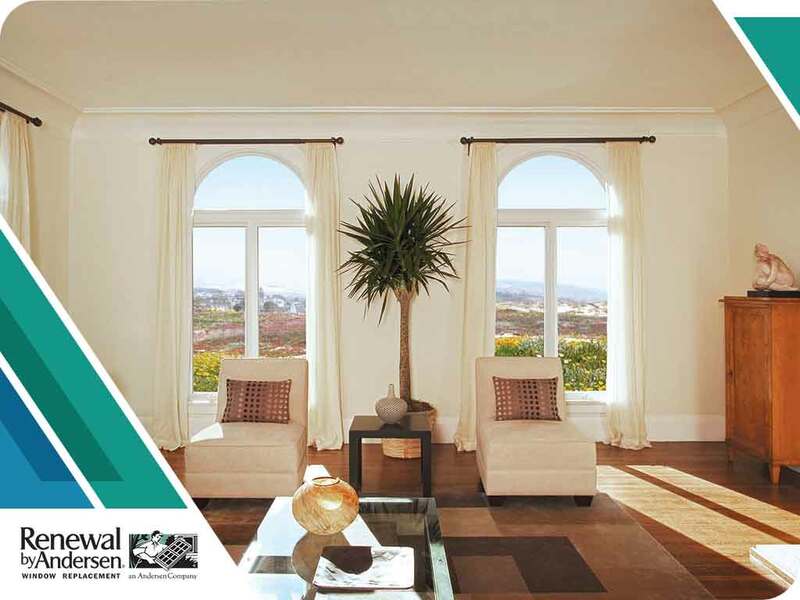 This ensures that our windows will fit your home’s window openings perfectly, greatly reducing the risk of air leaks. Once installation day arrives, the process will be as quick and painless as possible. Our installation crew is prepared to meet all kinds of structural challenges and they will bring all the necessary equipment and tools. Our crew is factory-trained and won’t make mistakes during the installation. Our service doesn’t end with installation. We back all of our replacement windows with strong warranties. In the event that our windows have a problem because of poor installation or manufacturing defects, we will help you right away. We make all of our windows ourselves, so we have all the parts necessary to deal with the problem. We handle the entire window replacement process from start-to-finish so you won’t have to deal with any third-party-companies, making the warranty process extremely convenient. Renewal by Andersen of Eastern NY’s sliding windows, casement windows, double hung windows, bay windows, bow windows, picture windows, and custom windows can greatly improve your home’s comfort and energy efficiency. We have decades of experience and tens of thousands of satisfied customers, so you can count on us for a flawless window installation. Call us at (866) 479-1700 or use our online form to request a quote.